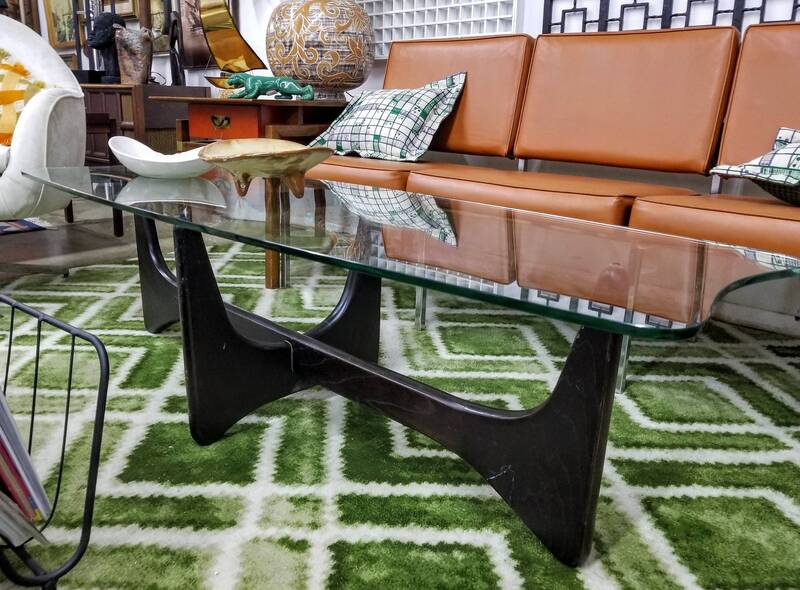 Beautiful Adrian Pearsall 60 inch long Stingray coffee table. 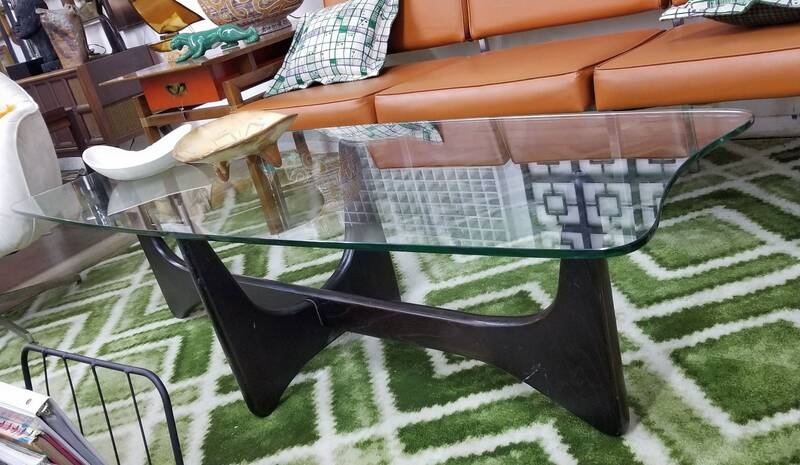 Love the notched out end design on the glass table top. 20 inches wide and almost 16" high. Beautiful wood base in a dark stain that looks to be original.No chips on the glass top but there is a small bubble on the edge of one end. Beautiful table! Shipping expenses are the responsibility of the buyer.